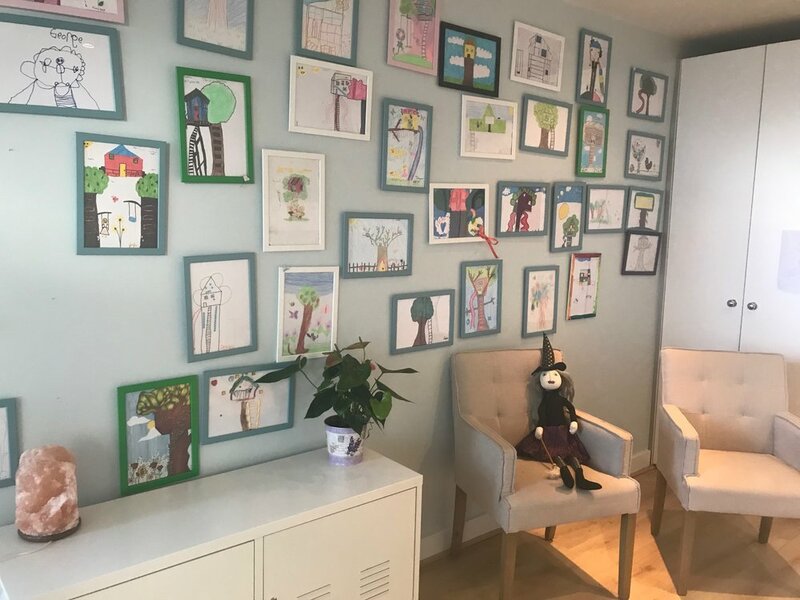 At Treehouse we offer clinical psychology, speech and language, occupational therapy, psychotherapy, multi-disciplinary assessment, consultation, and intervention services. We accept referrals from parents, GPs, health professionals, HSE and Tusla services. We provide warm, child friendly and welcoming services to children and families. We believe that your contact with services should be as inviting and supportive as possible. You might say that Treehouse Practice started with a baby. After working for the HSE for 8 years, our clinical director Sara took a leap of faith, and in 2013 left to set up her own practice. The idea behind this change was to offer a personalised bespoke clinical experience, while balancing time for being a mother. In its infancy the practice was small, but gradually the roots and branches have grown and grown. From the very start, the practice was designed with children in mind; from the therapeutic library in the reception area, to the art wall designed by the children who visit us themselves, to the little toy each child gets to take away at the end of the visit... We want the children that visit us to feel supported, valued, nurtured, and part of the practice they attend. We certainly feel the children that attend us deserve this model of care. The practice now employs 16 dedicated professionals, all equally committted to supporting children's development.